I broke out the coconut butter to make some magic shell on my smoothie last week. So good!! 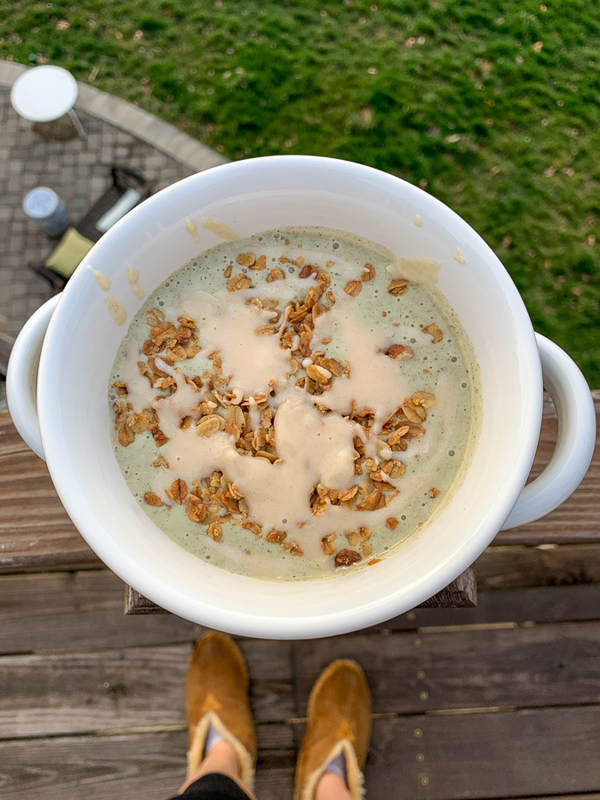 This was a Daily Harvest smoothie with a little granola on top too. The granola is key to make the coconut butter clumps that sink to the bottom. There is nothing quite as good as finding one of those in the bottom of your bowl! I got the idea to put blueberries on my toast at my sister’s house. Loving this little combo before a workout! These muffins are coming to a blog post soon, but they were great in bowl form! You know me – I like to eat things in weird ways. So it was totally normal for me to eat muffins in a bowl with toppings. Each bite lasted longer. I prefer eating with utensils anyways. 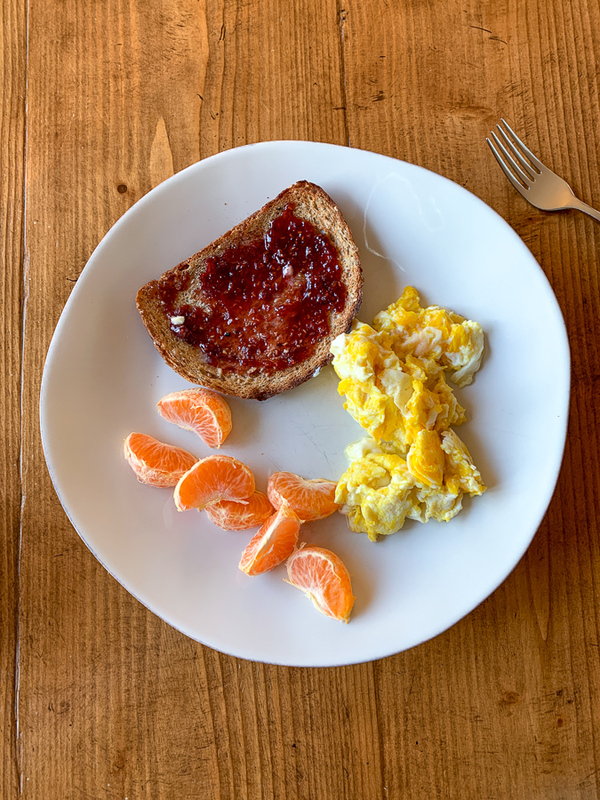 And to complete the variety of breakfasts – eggs, toast, clementine. 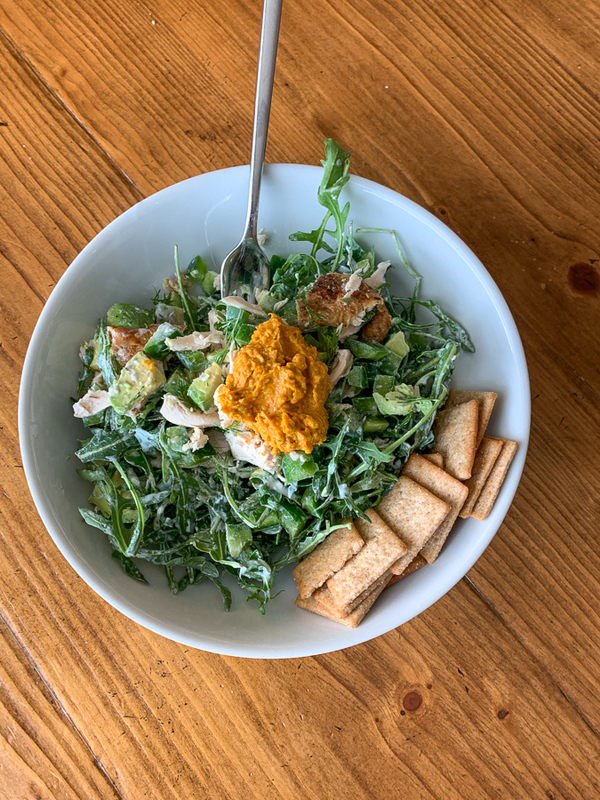 Monday’s lunch was an arugula salad with Cava dressing plus green pepper, avocado, cheese, rotisserie chicken, leftover pumpkin cashew sauce and Wheat Thins. I had some friends for lunch on Tuesday and we made more of the same salads. Dressing, chicken, avocado, peppers, cheese. Wheat Thins on the side! 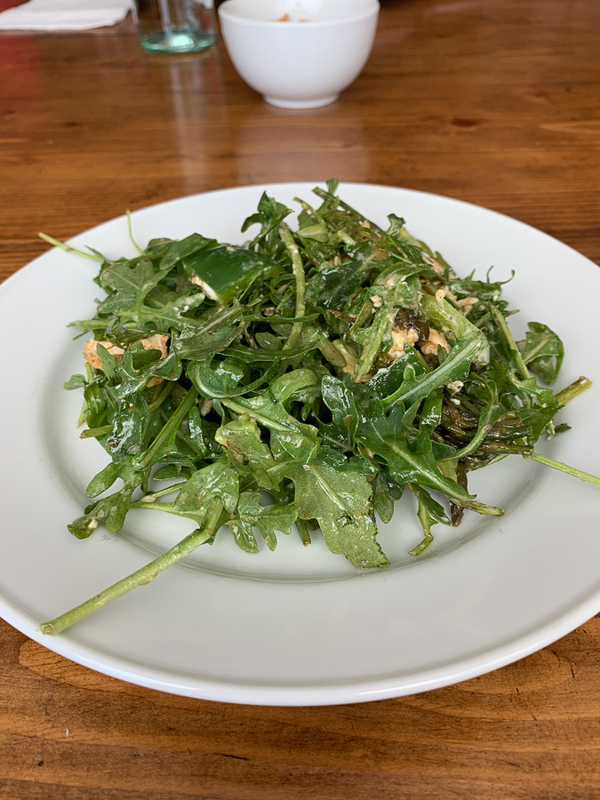 I ate all my good salad toppings at the beginning of the week! Some of these are from last week, but all were so good! Having a few meals from Plenty has been so amazing for weeknights. Never have I eaten so well since having kids. 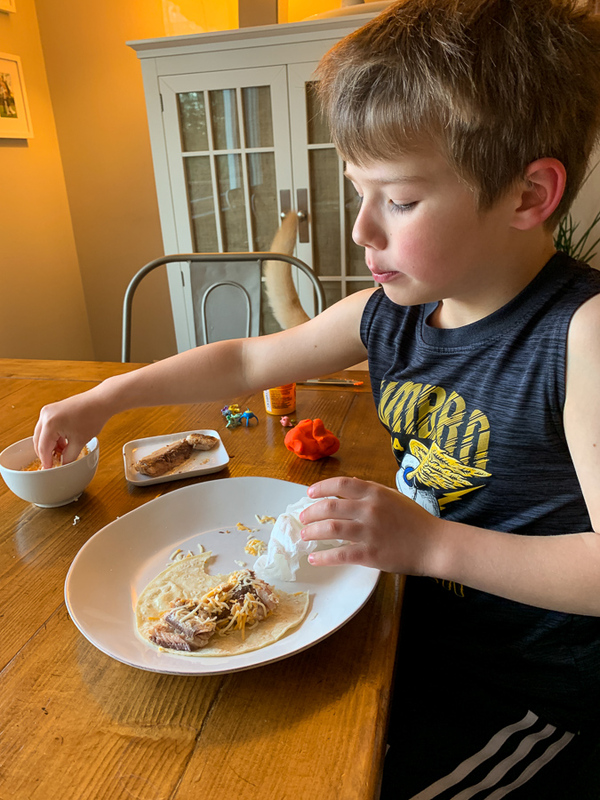 I hope there comes a time again when I enjoy cooking weeknight dinners – maybe when the boys are old enough to cook with me. I lost my love for cooking when I had my first toddler underfoot. It became so much more stressful. I feel a little guilty ordering from Plenty but at the same time, Della’s mantra is that food is self care. Why shouldn’t we take advantage of such an amazing service during this season of life? Plus now that we have two kids we’re dining out a lot less, so our budget is actually about the same. Having less stress around dinnertime has made us all enjoy eating together more. Nothin’ but good has come out of it. On Monday night we had fish tacos. 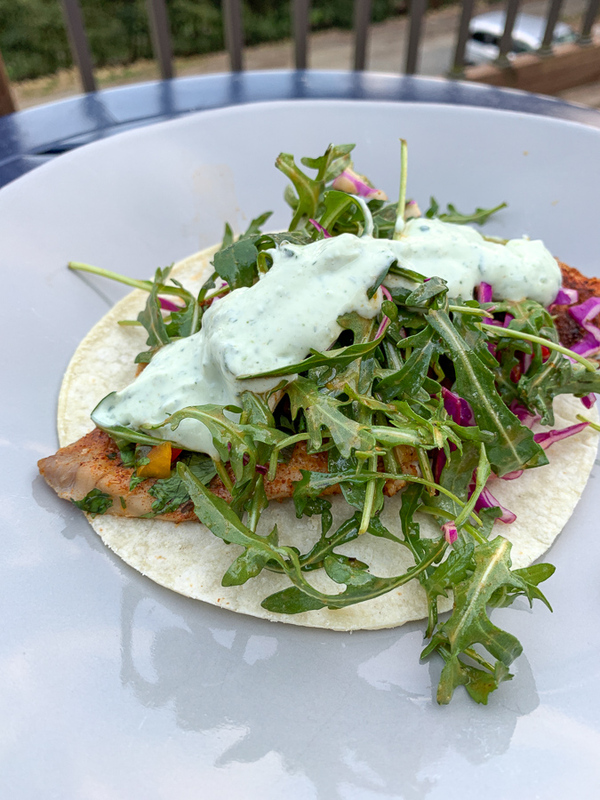 Seasoned white fish with diced peppers, cabbage and arugula with a homemade dressing, and an herbed crema. So good! 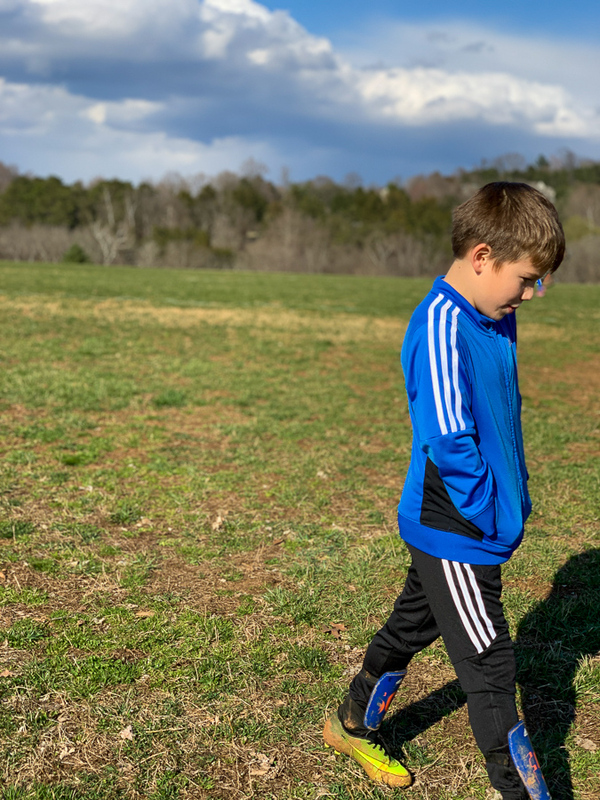 Before dinner, I took Mazen to soccer practice. Look at that stud! On the way home Mazen asked what was for dinner. He wasn’t too keen on the fish tacos I described, but he actually asked for sardines instead. (He loves the novelty of eating a whole fish like a bear.) So here he is eating a sardine and cheese burrito. LOL. My child who won’t even eat a blueberry! 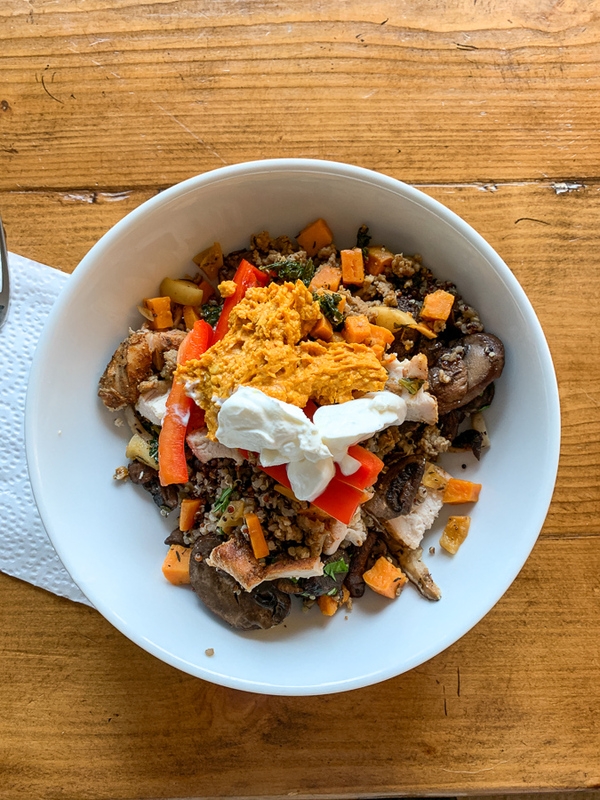 Next up in the Plenty line up was this mushroom + quinoa dish. This is the one with that pumpkin cashew dip on top! I added some peppers, leftover chicken and sour cream too. 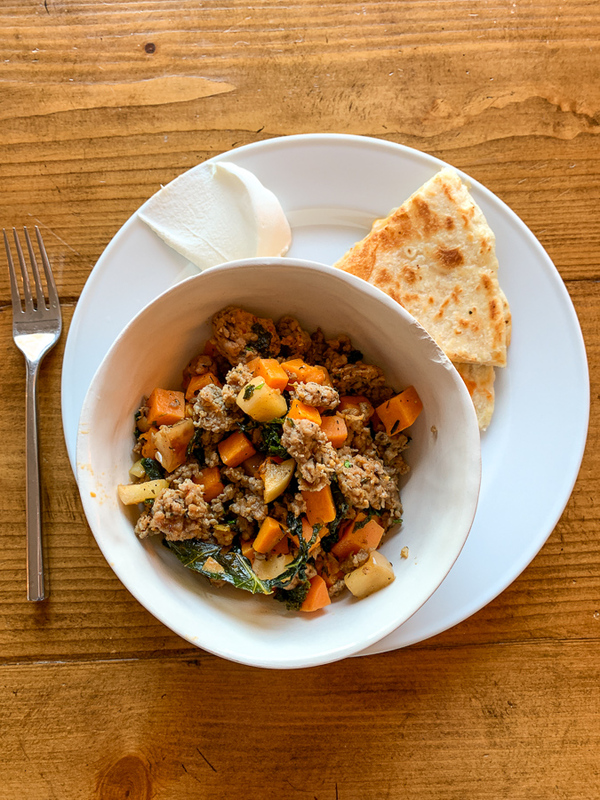 We also enjoyed this sausage, sweet potato, kale and apple hash. With quesadillas on the side! (Mazen inspired). 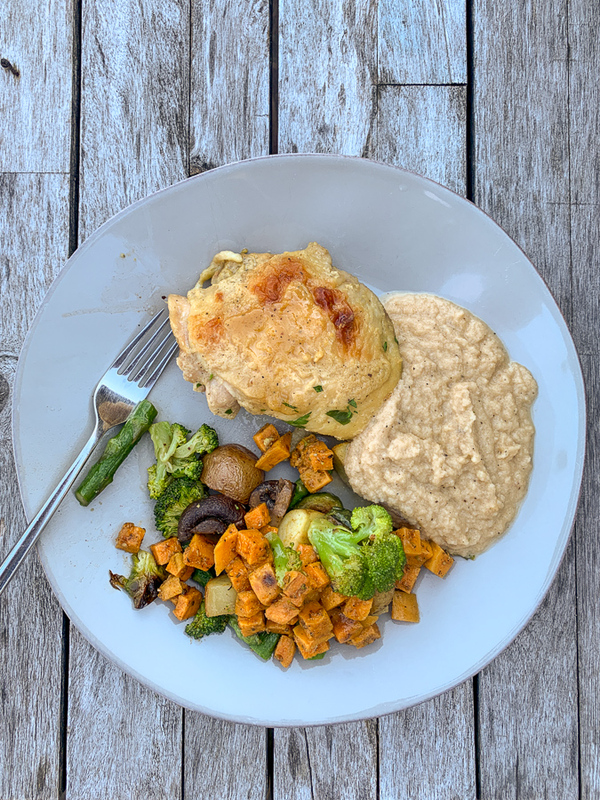 And this was my favorite meal from this week – chicken thighs with roasted veggies and the most delicious cauliflower puree! It tasted like coconut! 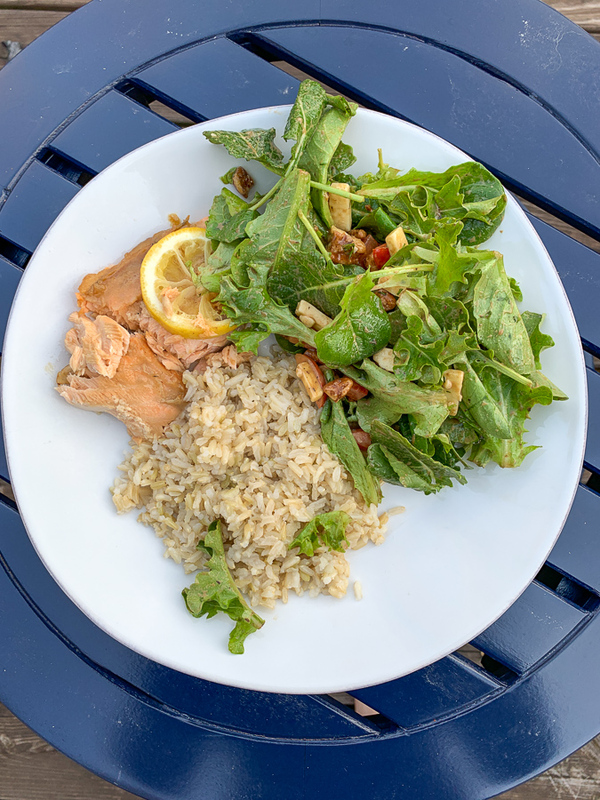 Lastly we made this one ourselves – lemony baked salmon with a side salad and rice. Families who snuggle together….! 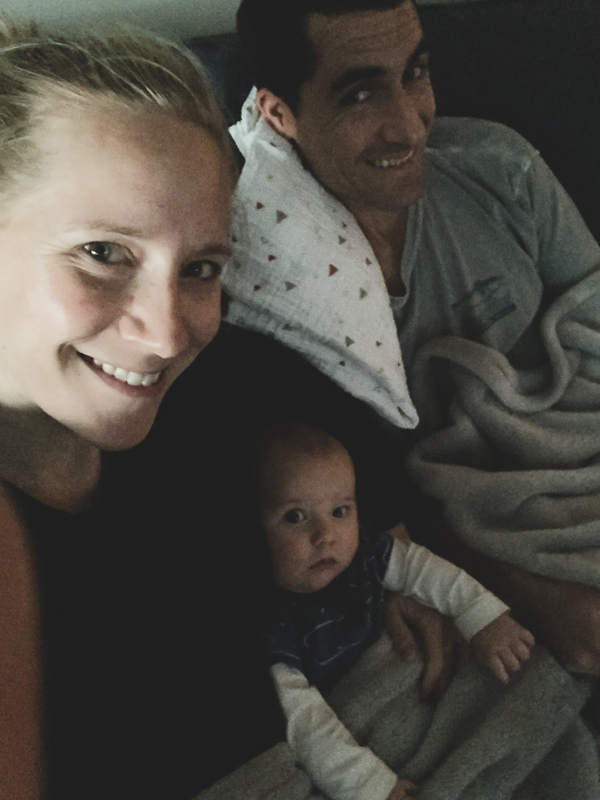 We were missing our big boy, but look at little Birch looking so grown up watching a movie with us! hahha Mazen wanting to eat a whole fish like a bear! Boys are so fun at that age. But a sardine and cheese burrito?? omg haha keep that recipe! Yum! Thanks for sharing all your great meal ideas. 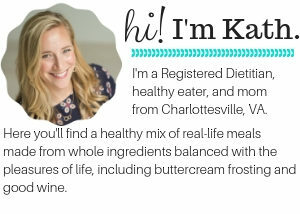 And, thank you for “keeping things real” about the challenges of getting little ones to eat a variety of healthy foods. 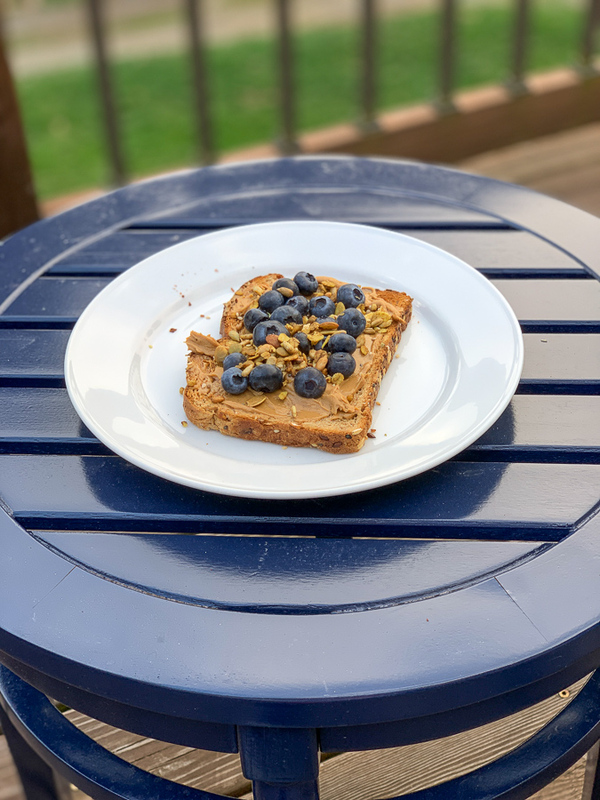 My older son is also the “kid who won’t eat blueberries”, but I continue to try to get him exposed to new things, although it’s really hard and frustrating sometimes! I celebrate the little wins when I can to try and stay motivated. Even if it’s something silly like licking a strawberry! My younger son loves fruits and vegetables, etc. so it’s good he gets that exposure that those foods aren’t so terrible after all 🙂 Any additional tips about how to get kids to eat healthy foods are *always* welcome! Licking a strawberry ha ha! Sounds familiar! M Like so many random healthy things and won’t eat so many “normal” healthy things. There’s a great “Pete the Cat” episode on Amazon Prime about the “three bite rule.” (There is also a picture book of the same.) 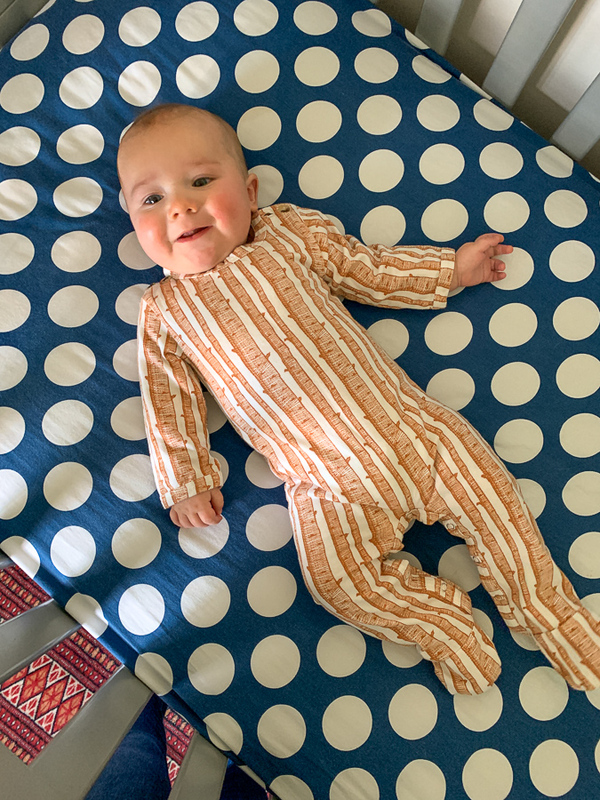 We use that catchy little song with our six-year old and it is amazing some of the things he decides he likes after taking three bites. We also have him try things three different times before he can decide he doesn’t like them permanently. Black bean soup is a good example. He didn’t like it the first two times (even after three bites), but we tried it again a few weeks later, and he declared that he loves it. Awesome I will look for it! 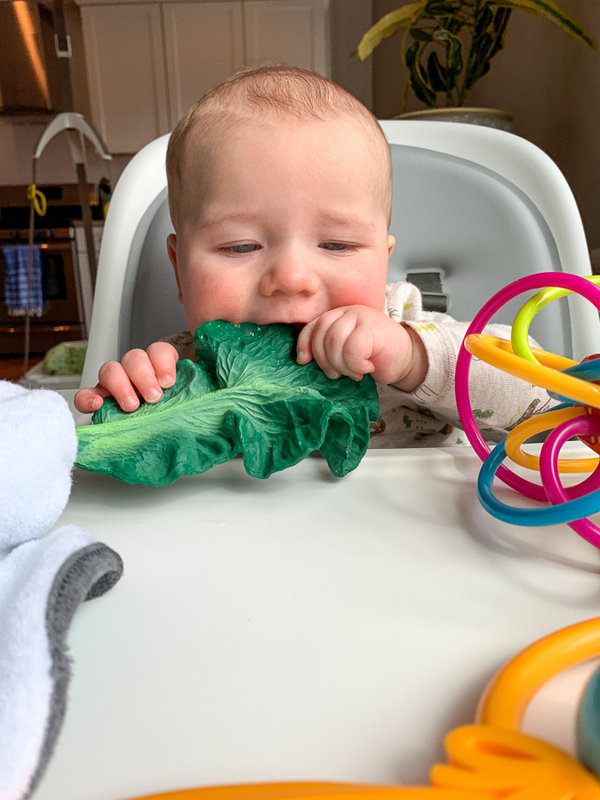 Love that kale teether! 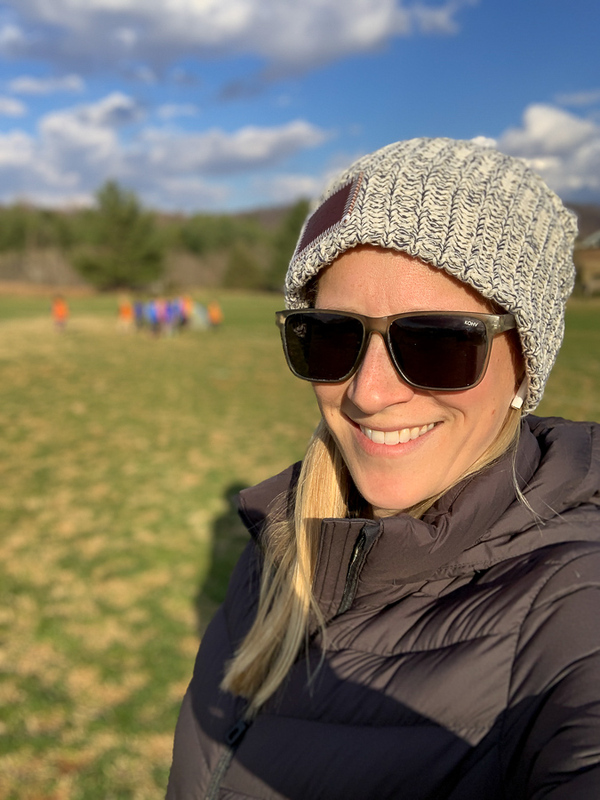 Curious about needing to watch a video on how to wear a hat?? Is there something special about it? It’s cute! I didn’t know how to wear at the cool hipster way! I just love Birch’s tree outfit! Super cute! It definitely sounds like he’s teething. Those little white teeth will appear any day now. 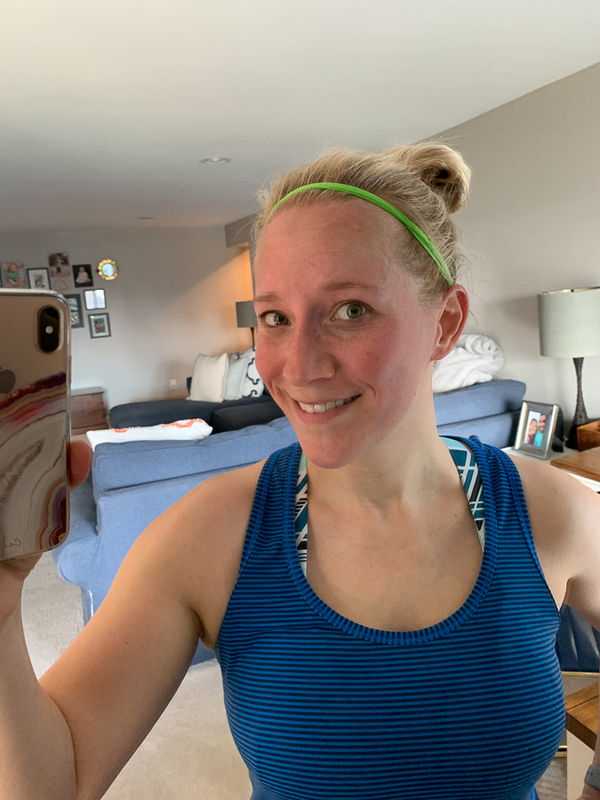 🙂 Just WOW about your treadmill run and on an incline of 12! Amazing! Where did you get the adorable glass funky shaped bowl that the banana and blueberries are in? It was from CB2 many years ago. They have some really cool bowls though! Totally agree with the splurge on prepared foods. I now “waste” money on prepped veggies from the grocery. It makes eating healthy easier and I’ll save that money somewhere else. And, you’re right, it is self care and still costs less than eating out. Love all your food inspiration pictures in this post! So true and I totally agree. Because I know the prepared fruits and veggies cost more I have a stigma against them, but really if it gets me eating well, who cares. I’ll make it up in my budget elsewhere. How did you prepare your chicken thighs there ? They always taste best to me when I roast them for quite some time until the skin is nice and brown and the meat falls off the bones. I roast turkey thighs for holiday meals. So delicious ! 🙂 Boneless chicken thighs are so good cooked slowly in marinara sauce. You can walk away and forget them. They were Honey Mustard Chicken Thighs made by Chef Della at Plenty. They were SO good! Those little boys are so sweet! One a “stud” and the other one is a “tree”. The meals sound delicious and nutritious! 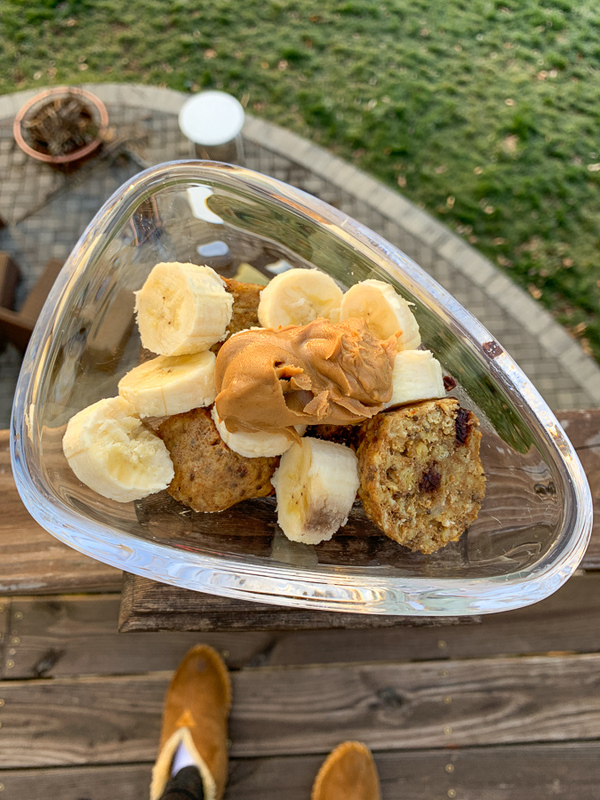 Also, I love the glass bowl you used for your muffin breakfast. Do you recall where you purchased them? Thanks. 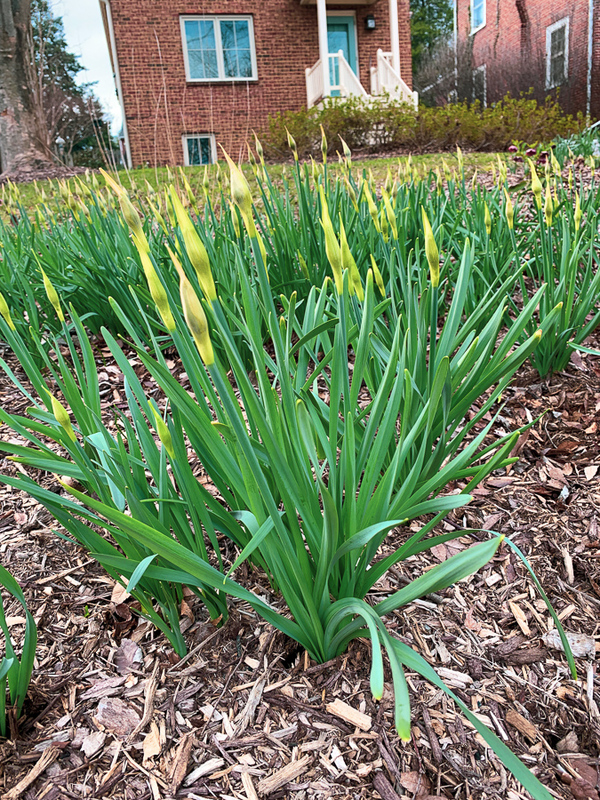 I wish we had Plenty or something like it in Kansas City! 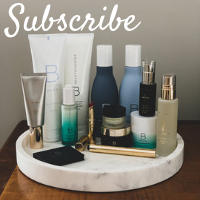 I would definitely splurge on it.